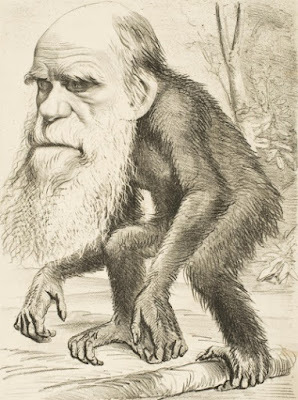 Secular psychologist David P. Barash decided that it is time to make human-chimpanzee hybrids, which would cross a significant number of ethical and moral guidelines. Psychology is not exactly a biological science, but the secular science industry as a whole, including psychology, is firmly entrenched in materialistic worldviews with evolution as the cornerstone. To push the boundaries and tamper with embryos and genetics is consistent with their fundamentally flawed paradigms. Not too long ago, scientists were lamenting that they were constrained against extending the lives of human embryos in a dish (evolutionary thinking supports abortion), wanting to keep them alive a bit longer. The chimera experimentation through CRISPR is increasing (see "Ethics, Scientism, and an Evolutionary Worldview" for more about this). Believing the false science that the chimpanzee genome is 98 percent similar to that of humans, that molecules-to-monkey evolution is a fact, a materialistic worldview — these add up to contempt for human life. Biblical creationists know that, although there are similarities in biology between humans and animals, we were created separately by the Master Engineer in his image — we are not just another type of animal. Secularists want to be in complete control of science and ethics. They have their own criteria for morality and value, and we are already seeing that the boundaries are being moved.
. . . a video from Jordan Peterson and interacting with the concepts of suffering and human purpose in his lectures. Dr. Peterson has been great in exposing the fundamental flaws and simple irrationality of many of the left’s pet projects today, and we can be very thankful for that, but we cannot use that as an excuse to not point out that the best a Jungian evolutionary worldview can produce (consistently) is a form of Pelagianism, a “pull yourself up by your bootstraps” moralism that lacks the key ingredients provided by full gospel proclamation. Normally, I am reluctant to embed longer videos (I'm not asking you to watch the whole thing unless you have a mind to), but it shouldn't slow the site down too much. Hope you can spare some time. Also, the audio can be downloaded here. See the addendum, below. ADDENDUM: Creation Ministries International addressed this issue on March 22, 2018. See "The Humanzee — Responding to the horrific suggestions of a modern academic".